Not all fertilizer is created equal. When it comes to creating the perfect combination of nutrients, the science behind each granule of fertilizer becomes evident. 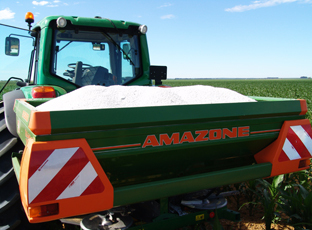 Our fertilizer is not simply a matter of blending various raw materials together. Omnia’s products are based on extensive research, not only in the laboratory, but also practical, on-farm research, which is informed by our clients’ needs. Each product has been manufactured according to the highest standards and exposed to extensive quality testing before reaching our clients on the farm. All our products are accompanied by expert agronomic recommendations to ensure efficient and cost-effective application thereof. The easy answer is to increase the yield potential of a crop, but this is not the only reason. Did you know that the use of little or no fertilizer is one of the main causes of environmental degradation? During the harvesting process, soil nutrients are removed and if they are not replenished, the soil becomes depleted of these nutrients. This has a major impact on plant growth in the seasons to follow. When crops receive the correct nutrients, they produce higher yields, which means that less agricultural land needs to be used in order to produce the necessary yields. In other words, the use of fertilizer maximises the productivity of land, leading to reduced deforestation. Fertilizer contributes to the efficient use of water as well. Where rainfall is low or crops are irrigated, application of the right fertilizer can more than double the yield per unit of water used and increase the root depth of the crop. The root depth provides a healthier crop that is more drought tolerant.